Water is the most important part of Iceland for me. Why? Yes, you had to ask. Water is everywhere in Iceland - and in fact - around it. And water is a large part of the experience when you get deeper into Iceland. Well, it is about landscape and volcanoes, about ice, about the light, yes, of course. But nothing of all this is worth it, if you take away the water. Water is such an integral part of my vacations to Iceland - five to this point, but I am not done counting - especially because you get into it. Deeply into it. 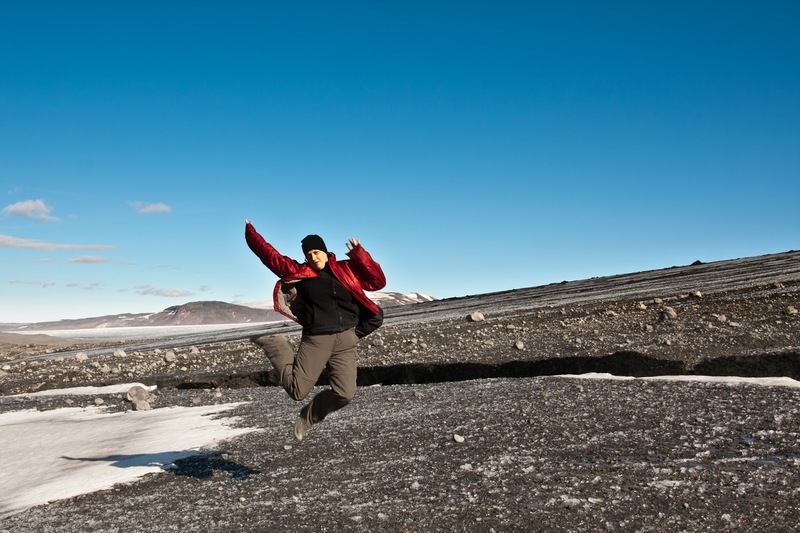 If people ask me, why I love Iceland, I tell them, that it is all about relaxing and escaping my everyday world. I love to hike, I love photography and I love to just enjoy the space and the light that is just not of this world. 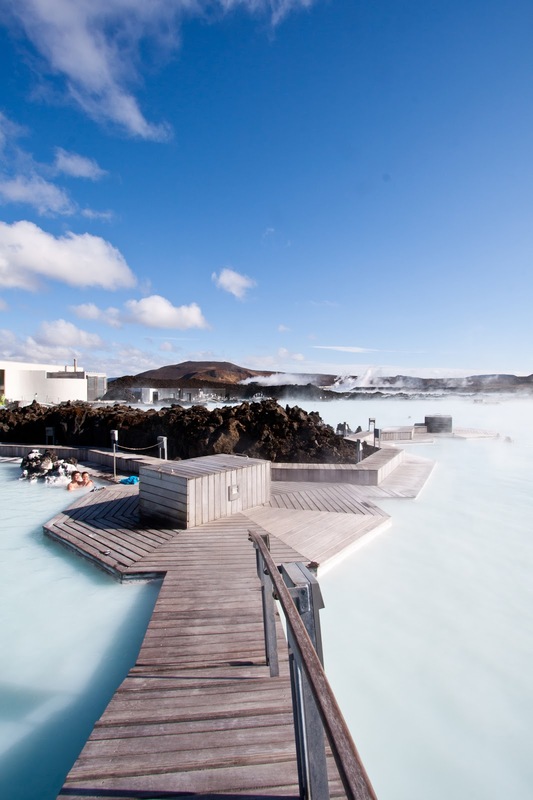 But no matter what, you have not been to Iceland if you didn't plunge in the water. All the time. Icelandic baths are special. 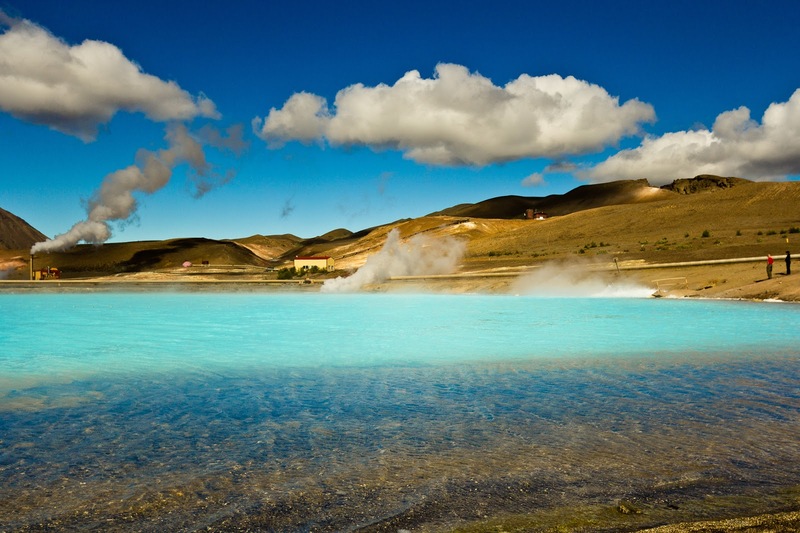 Heated by geothermal power, which mostly means that they are fed by hotsprings, each has a bit different of a water. Balmy, tangy, turquois or clear and lush. 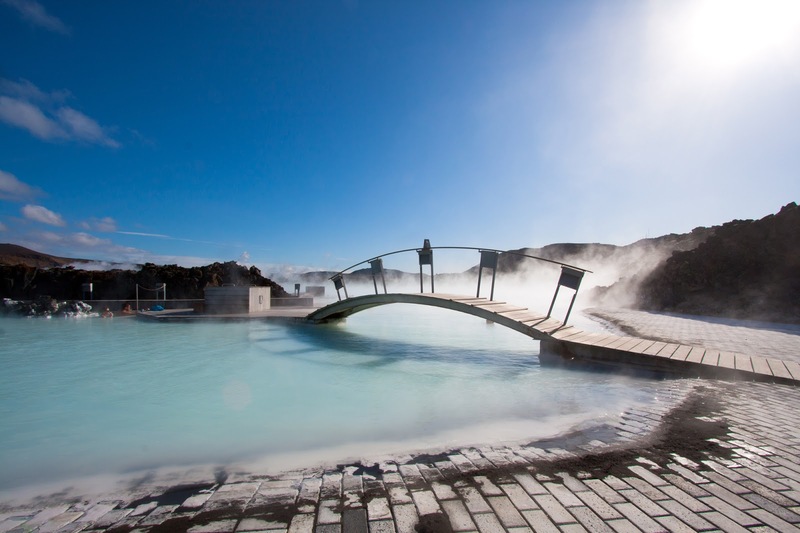 If you miss out on the bath, you missed out on Iceland. I mean it. My favorit sporty-style bath is the Laugardalslaug in Reykjavik. This large and well equipped pool is just outside downtown and conveniently right next to the campground and the youth hostel. Reykjavik has more pools to offer. I never counted, how many. Well, I do admit it. I do swim a few laps there, but I really just want to lounge in the hot pots. That's the key for me in Icelandic pools. Oh, and the fact that they do not have clorine in the water. It's all fresh and that's something that you get no where else I know. Organized city swimming pools are great. But it does not stop there, it does not even beginn there. There is an enormous amount of local hotpots. 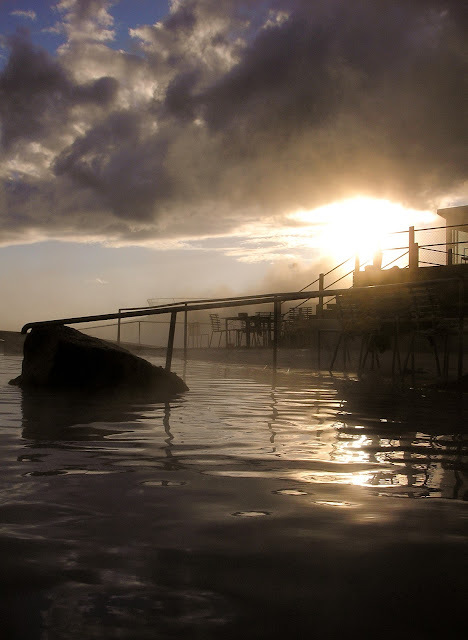 Natural hotpots, those that are maintained in some way and also those, where a local hotspring is detoured into a pool of sorts. I have been driving along dusty roads in the Westfjords. And what's on the map? A pool. Well, honestly, if you drive by it, that is your problem. There is nothing more refreshing than just taking a dip in there. And meet the people. We have had many a fun conversation at those pools. Of course, when you are camping, pools are always welcome. You don't only get a shower there - and you neeeeed to use it. Thoroughly. No options. But you get to lounge in warming water. No matter how cold it is, there is such a revitalizing energy in warmth to the core. Of course you should also enjoy that feeling without a tent waiting for you. But I am always camping in Iceland as long as I am not coming in the winter. If you think, you got the water thing now, well, the swimming part, then I am pretty sorry to say: You have not gotten the real deal quite yet. 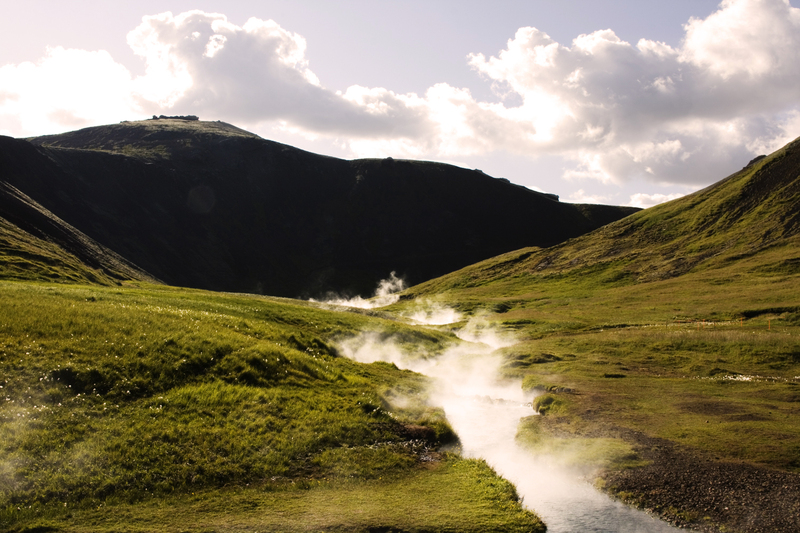 Landmannalaugar is a place I still have to visit, but I have been to Reykjadalur and therefore I did get my fair amount of soaking in a hot river. Reykjadalur is in hiking distance from the valley behind Hveragerði and an easy daytrip from Reykjavík. 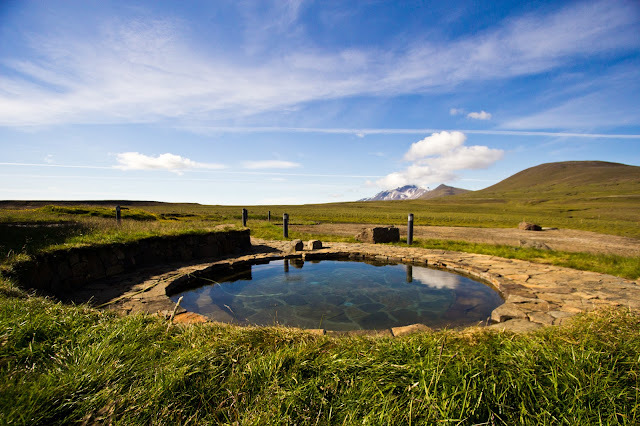 It has this beautiful alpine apearance and is strewn with Icelandic sheep. And through the middle there is a river. It starts boiling hot in the high end of the valley. And by boiling I mean boiling. Don't be tempted to even dip a finger in. The further you stay to the bottom end the cooler it gets. We usually hike up and down the stream and look for a place that is not too hot. And then, by evening time, the locals show up and go a good bit further up the hot part of the river. Then you know that you may be aspiring but not quite there. 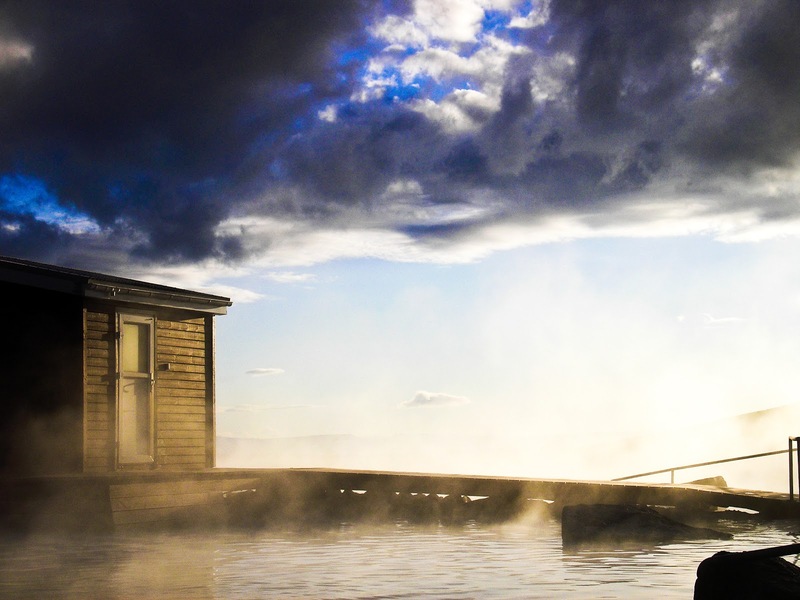 Where or when it is cold or colder you want the hot water, hotter, longer, more relaxing. I have acutally been sitting in a hot pot or pool in Iceland while the snow falls around me and it's icy all over. Such a great contrast to enjoy. Also, watching a sunset in the mountains around Snæfell, waiting for reindeers to show up and meanwhile sitting in open air hot pots? Tell me what beats that, anywhere in the world. Part 2 will follow tomorrow morning!